Beams in timber-frame houses. Should they be left exposed or plastered? Half timbering is an English phrase originating from an 1820s novel and is used to describe a load bearing wood frame, exposed externally, with infill panels. 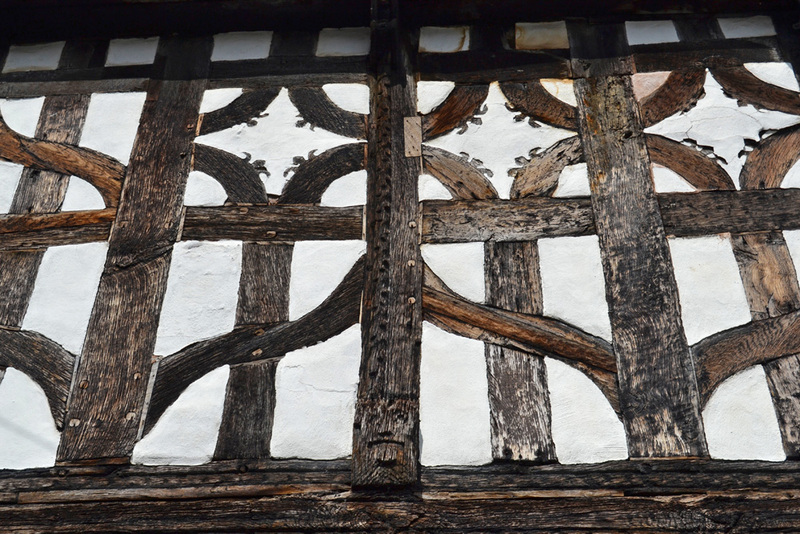 Romanticism aside, it is entirely likely that many of the oldest cruck framed properties or aisled halls were left in that state through necessity, lack of skill, shortage of materials or cost considerations as opposed to predetermined design. Shelter was the priority then, not aesthetic niceties, so many early Hall houses and aisled and cruck-framed dwellings, were not clad externally and had heavy timbers left uncovered and exposed to weathering. However, more recent homes invariably had a daub rendering to protect the timbers and it is generally considered that the vast majority of timber-frame houses were not constructed with the intention of leaving that frame exposed. 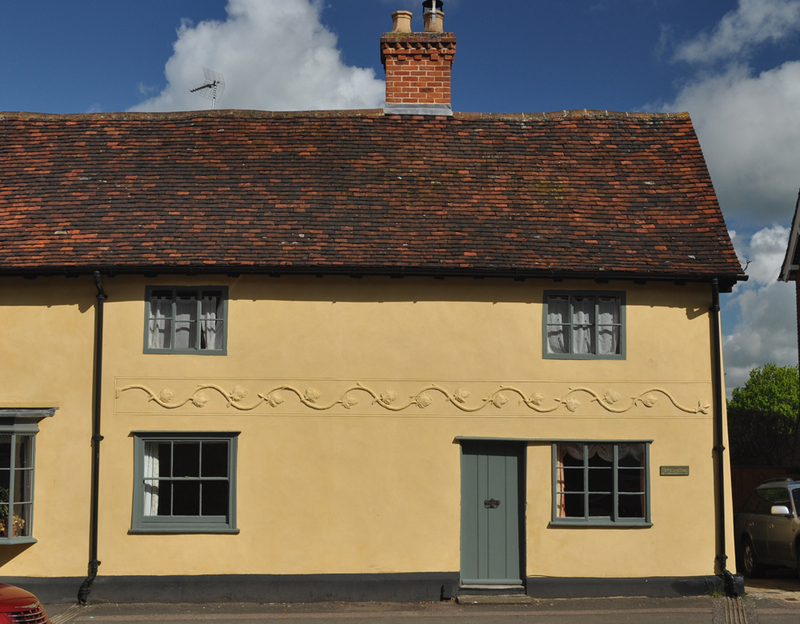 The normal English vernacular was to conceal the timber frame with a lime render overlay and so protect the beams from erosion with a watertight façade. 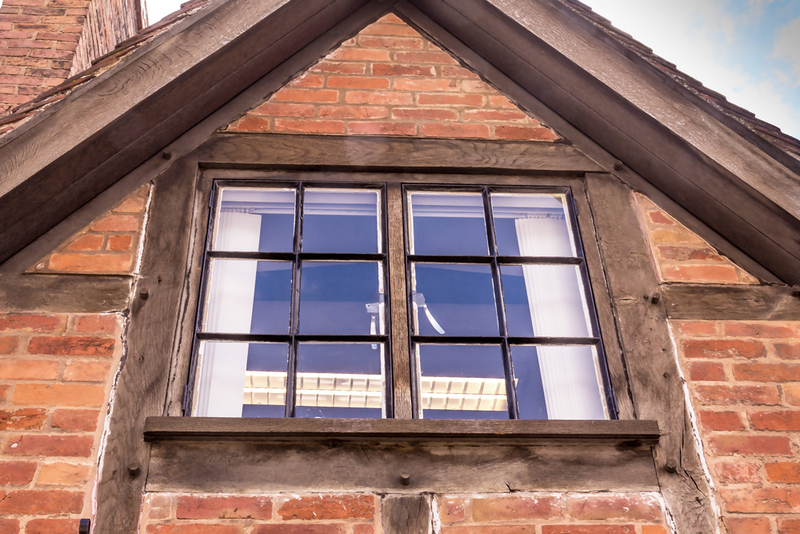 Although brick noggin infill between timbers and intricately plastered (pargetted) panels can look extremely attractive, these can cause a number of serious problems. First of all, bricks are heavy and can overburden a timber frame thereby exacerbating structural faults. Secondly, when the original intention was for a timber frame to be left exposed, the heartwood, being the hardest and most durable part of the timber, would be positioned to face outwards to the elements. 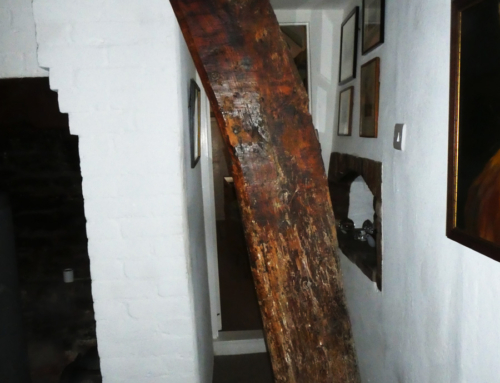 Similarly, where it was intended to cover the timbers (and hide them from sight) the wood face was often left rough, sometimes with the bark intact and these sections are generally the most vulnerable to beetle infestation and rot. In many cases, standard bricks, being 4.5” wide, would project slightly over the timber frame, so creating ledges along which rainwater would collect and in due course soak into and degrade the timbers. Then there is the matter of differential movement of materials: timber frames were engineered to accommodate the movement of the ground to a great extent, not being tied to fixed foundations like modern houses. Because the timber frame can move independently and at different rates to the infill materials, cracks appear between them where rain can penetrate. One of the weakest areas of a frame is where timbers have been jointed. With traditional construction, there are often a series of mortise and tenon or scarf joints which are highly susceptible to weathering and rot if exposed. Water penetrating through cracks and gaps between the timbers will run down along down the face of the material, or along vertical and cross supports until it meets a horizontal plate or beam where it will collect and pool and cause serious deterioration. 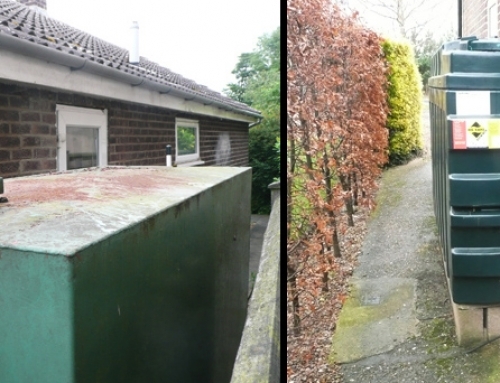 All too often these areas have also been subjected to indifferent, unskilled, modern repairs, such as being thickly covered with a variety of mastic, lead or bitumen finishes which inevitably conceal rot, cracking or beetle infestation. It therefore seems most sensible that old timber-frame houses be rendered externally. That said, the wrong type of rendering can also cause problems. A cement-based render can oxidise against the timber frame and the older metal mesh used as a base fixing will corrode and rust. 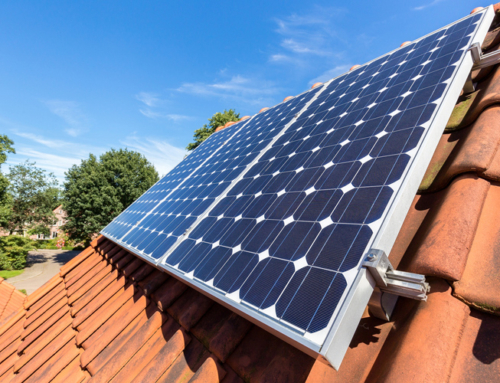 Similarly, if a rigid, dense, cementatious covering is added over a frame which has damp problems, whether rising, penetrating or simply condensation, moisture will be trapped within the frame. To a reasonable extent, lime renderings will allow trapped moisture to dissipate and the dwelling to breathe. It is also generally easier and much more sympathetic to seal the surrounds of panels using a lime putty mix as opposed to a mastic fill or similar. 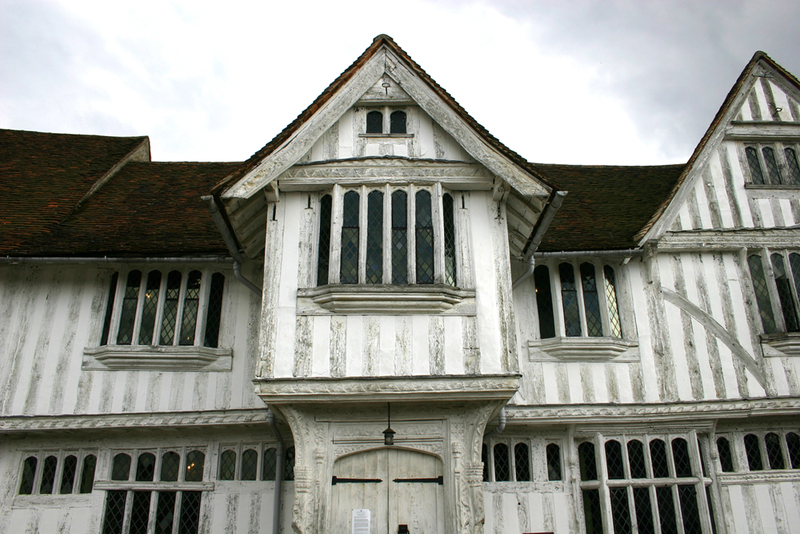 Conservationists hold mixed views in relation to the comprehensive re-rendering of listed period houses where the timber frame has been exposed in the past. 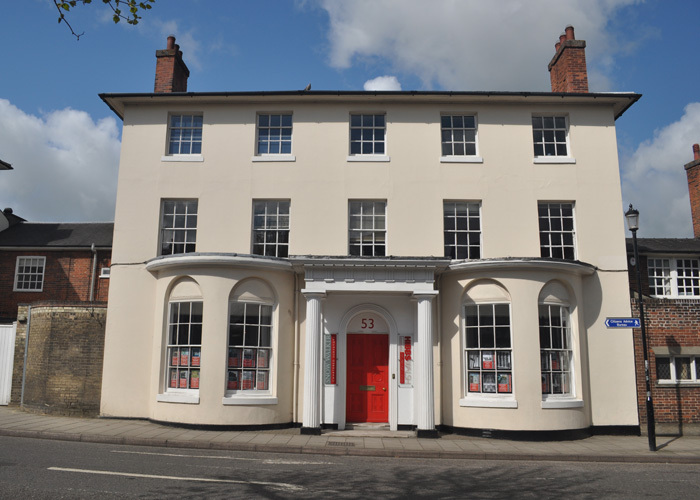 There does, however, seem to be a general agreement that unless there is clear evidence that a render had previously been removed (such as old nail holes, photographs of the building in its original condition, local records, etc), then it is deemed to be ill-advised. However a building evidently not intended to have the frame open to weathering, should always be covered. 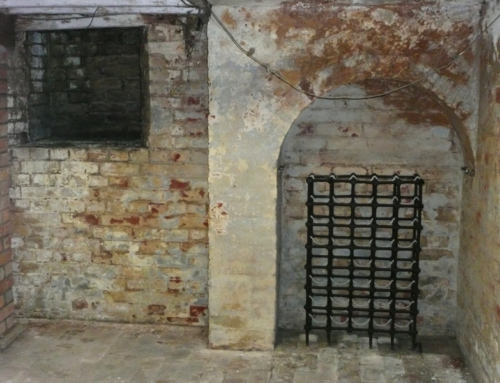 See what lurks in the cellar!